May 10: Tony Garnier was born in 1955 – Happy Birthday! On stage he is always the lieutenant, ready for anything, clocking everything with equanimity, passing on to other musicians his accurate interpretations of Dylan’s often inscrutable nods and narrowings of eyes, yet at the same time smiling at fans and giving every appearance of a contented man who still enjoys his work…. By the end of 2007, he had played at 1900 Bob Dylan concerts, Uncannily, he doesn’t look a day older than when he played his first. Tony Garnier (born Saint Paul, Minnesota, May 10, 1955) is best known as an accompanist to Bob Dylan, with whom he has played since 1989. 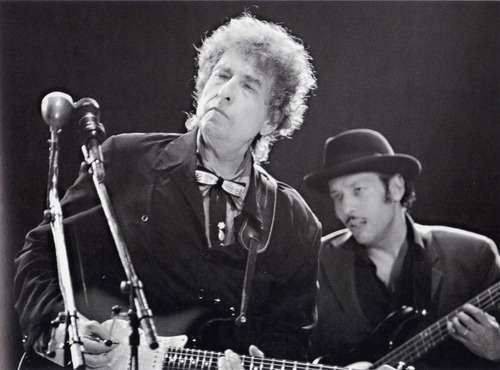 He is Dylan’s longest-running side-man, and has sometimes been characterized as his “musical director” as well. 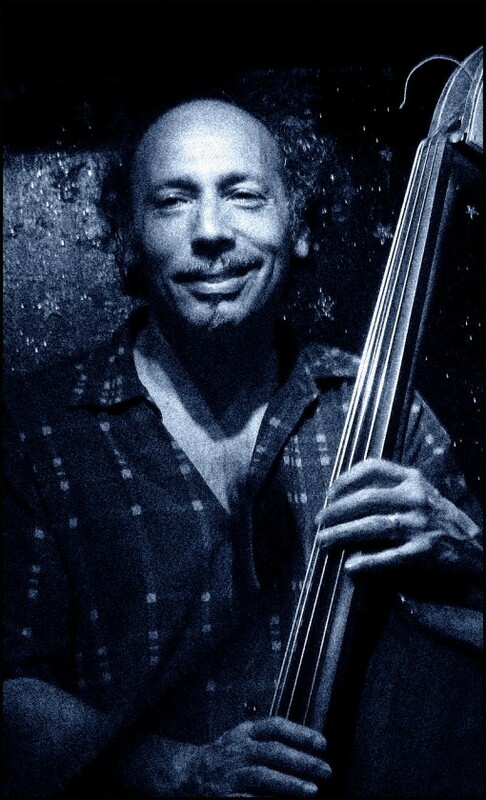 In addition to his work with Dylan, Garnier has recorded with Tom Waits, Loudon Wainwright III, Paul Simon, Marc Ribot and Eric Andersen, and was a member of Asleep at the Wheel (from 1976–78) and The Lounge Lizards. 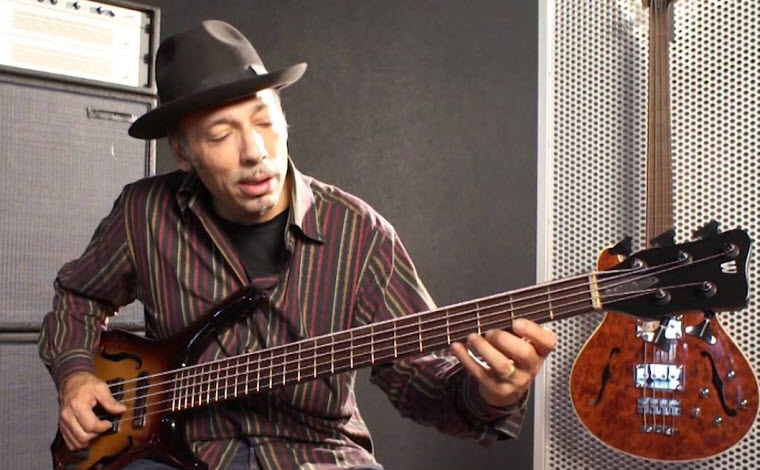 He also played with Robert Gordon in the early 1980s. He was also a long-time side-man for David Johansen in his Buster Poindexter persona, and was also briefly a member of the Saturday Night Live house band. thanks nice post.how are you people? This is wrong. He was born in August. Check on Wikipedia. Why do you do that!? According to Frank Beacham (who spoke to Garnier on this) and Tony Garnier’s brother wikipedia is WRONG.